Quick observations and the like that come from having seen Jurassic World six times! Hope it delights/entertains! Think about it… how many guests did you see get killed in Jurassic World? The answer is as many guests as the Pterodactyls and Dimorphodons (a real Dino, NOT a hybrid!) hurt/killed before Owen (Chris Pratt) and his boys shot them out of Main Street’s sky. One Site Says “Dimorphodon?” Director promises NOT a Hybrid! Even with these creatures, unless I’m missing it in the background, no guests are killed on screen… the big kill of Claire’s assistant Zara (Katie McGraph) counting as an InGen employee (seeing as how she is an InGen employee’s assistant…). And besides little lift attacks, the only other people we actually see get the ax are Mr. Masrani and his copter’s crew. Think about all the great scenes with Indominus, Velociraptors, and the Mosasaurus (the swimmy dinosaur who eats sharks) even… guests do not even share scenes with any these creatures, but it’s a smorgasbord on the park staff. That’s Park Security ’bout to get eaten right there! Indominus eats the two men in the paddock, the 1st security team with “non-lethals,” lots of innocent dinosaurs, tries to eat the kids, tries to eat Owen and Claire, eats/kills a few Mercs with some raptors, and then kills two raptors in the final fight. That’s it. Owen’s Velociraptors aren’t even released until guests are off the island (we hear about a boat arriving and there are no guests on Main Street by the time our heroes make it back), and even then they entirely feast on Hoskins ‘ new Mercs… and Hoskins himself of course! Finally, T-Rex don’t get to eat any people! If you see Jurassic World again, watch for what I speak of. Except for the Pterodactyls, Jurassic World Guests are never actually around the most dangerous dinosaurs. Even though Mr. Masrani is the kind, fun InGen CEO with the spirit of John Hammond, let us not forget the same actor, Irrgan Khan, played an incredibly sketchy/evil Oscorp Exec in The Amazing Spider-Man. And in Jurassic World, InGen has never been sketchier. 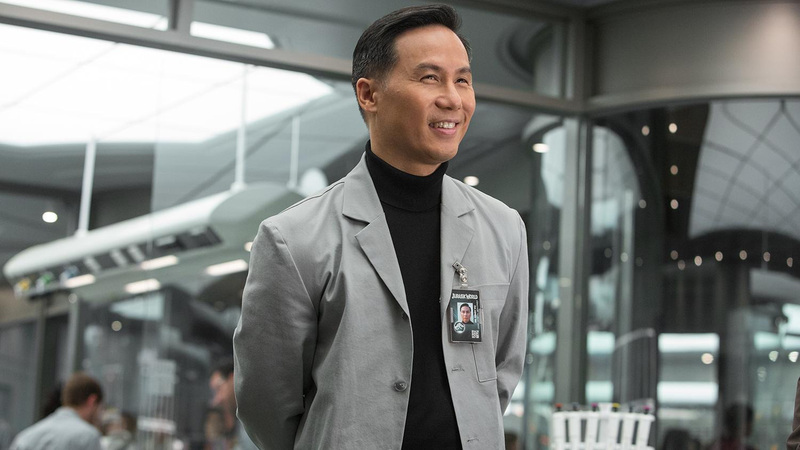 Sure, Hammond’s nephew wanted control of his uncle’s company to capture the Dinos on Isla Sorna and put them in a new, San Diego Jurassic Zoo in The Lost World: Jurassic Park, but that doesn’t even scratch the surface of what Dr. Wu (BD Wong) and Hoskins are developing in secret. 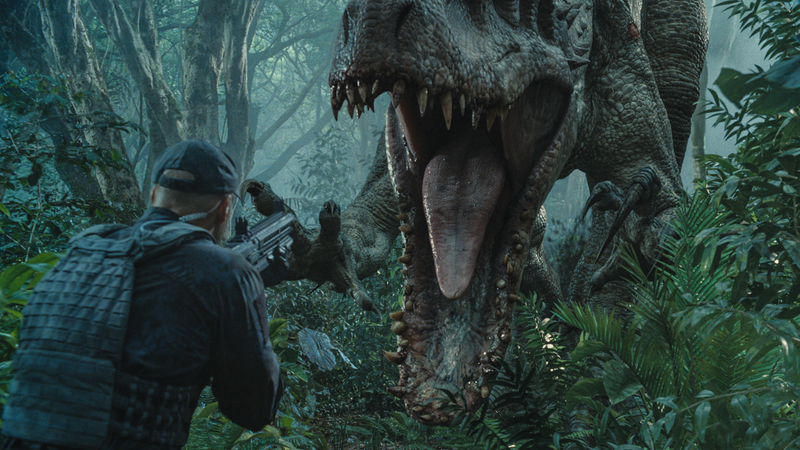 A movie that breaks records as fast as Jurassic World gets a sequel. Dem’s da’ rules. Pratt has said they’d be having him back, but where do you go from here? Open a Theme Park where people get eaten once, shame on me. Twice… shame on you, but damned was it enjoyable! And you ain’t gonna fool us three times! Without a reboot, I don’t see how anyone will ever open another Theme Park in the Jurassic Park universe ever again. 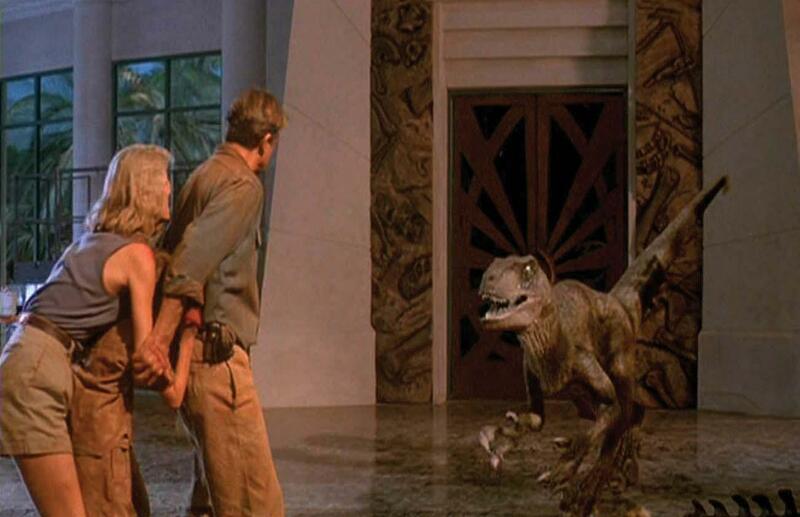 Whatever happens to Owen and Claire, some form of a plot tracking Dino-Hybrids may be in their future. Yikes! Of course, Dr. Wu isn’t doing anything new by creating the Indominus Rex, the Not-So-Mad Scientist explains to Mr. Masrani. “Nothing in Jurassic World is natural” admits Wu, all the “monsters” in the Park have had segments of their D.N.A. filled in with other animals (as we learned in the 1st film). Wu goes on to state that many of the “attractions” in Jurassic World would look quite different if they were pure; Spielberg & Co. finally admitting and explaining why their Velociraptors are eight feet tall and feather-less, as opposed to a feathery-four-feet. Well, that’s all for now but I still have many layers of Jurassic World I wish to pull back shortly. Join us again for JURASSIC WORLD Explored Part 3.